Famed US investor Warren Buffett has become the latest big beast on Wall Street to comment on whether PepsiCo should split in two. The pros and cons of whether the Lay's chips and Pepsi cola should divide is a hot topic in FMCG circles in the US at the moment. Activist US investor Nelson Peltz is pushing for PepsiCo to become two businesses, one focusing on food, the other on drinks. 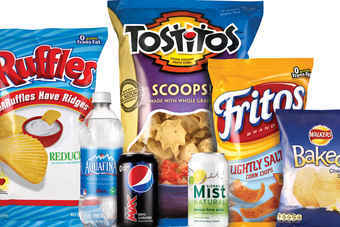 PepsiCo has stood its ground and said it is a better business as one. (It is incidentally, embarking on a quiet PR battle, alerting us to Buffett's CNBC appearance, for example). PepsiCo's shareholder base is said to be split over the split. Buffett and his Berkshire Hathaway investment fund does not own shares in PepsiCo but, in an interview on CNBC today (3 March), the so-called Sage of Omaha was asked for his opinion on Peltz's proposals. "I don't think I'd split it up," he said. "I think that Frito-Lay is an extremely good business. It’s a better business than the soft drink business, but I think the soft drink business is a good business too and I don't see any reason to split them up." Peltz last week told CNBC he would take his case to the US food and drinks giant's shareholders. On Thursday, PepsiCo issued a letter to Peltz and his investment fund Trian Partners in which it dismissed the US billionaire's plan as "financial engineering" that "erodes value for shareholders rather than creates value". Peltz's plan has divided the market. Another PepsiCo shareholder, Don Yacktman of investment fund Yacktman Asset Management, told CNBC on Friday: "I'm yet to be convinced that Nelson Peltz's ideas are in the best interests for a long-term shareholder." Yacktman pointed to the "synergy" between PepsiCo's food and drinks operations, although he added: "I don't see, when you have synergy, that the issue is splitting the company up. The issue is more in management and some changes that need to be made at that level. I would like to see improvement in the capital allocation process and objectivity. I don't see that [Peltz's plan] is the solution." Today, analysts at Sanford Bernstein issued results of a survey of 100 investors on whether PepsiCo should split. It said 55% supported a break-up but most do not believe it will happen in the next year or two. It seems this one will run and run.